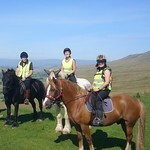 Welcome to Stonetrail Riding Holidays. For the past twelve years we have been offering adult only riding holidays across some of the most beautiful parts of Cumbria and the Yorkshire Dales specialising in holidays for experienced riders as well as holidays for riders who wish to improve their confidence in open spaces. 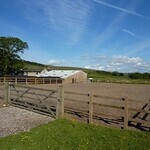 Our location is a horse riders dream. 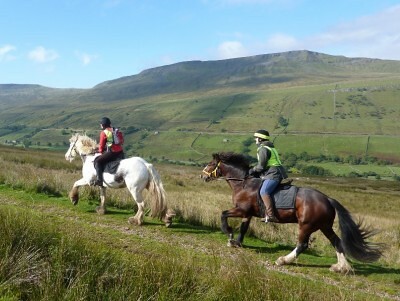 We have stunning scenery, an extensive bridleway network and because the area is still relatively unknown, we can often ride all day and hardly see a soul. Peace and quiet, and a place to relax is hard to find in today’s world but that’s exactly what you will find you will find here at Stonetrail. 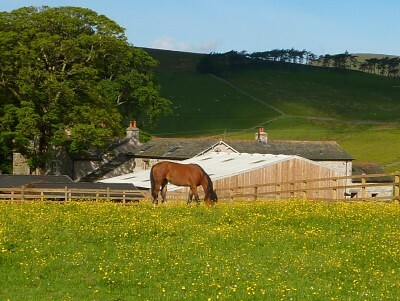 We have a super team of well bred horses which are forward going, well-mannered and easy to ride. They are super friendly and full of character, we love the fact that many of our customers return year after year to team up again with their favourite horse. 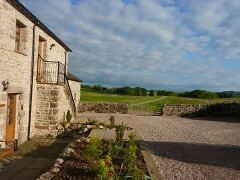 At the end of each day you can look forward to a restful night in one of our cottages which overlook the stables and paddocks. 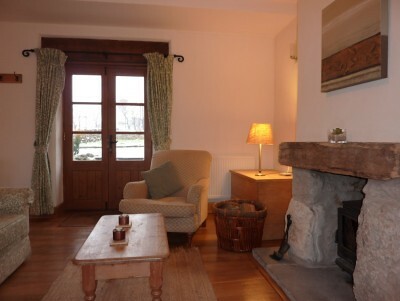 Recently converted from a range of stone barns they offer a wonderful blend of rustic charm with contemporary interiors, wood burning stoves for cooler months, power showers, and crisp white linen. 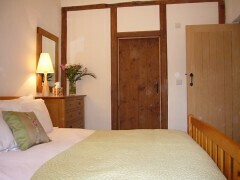 There is even a spa room to help relive any sore muscles! 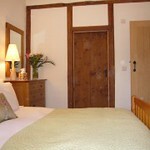 In the evenings you can choose to stay in and cook for yourself or eat out, we have one Inn within walking distance and several more a short drive away. 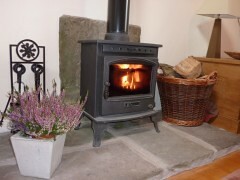 Stonetrail is owned and run by Alison Muir who established the business in 2008. 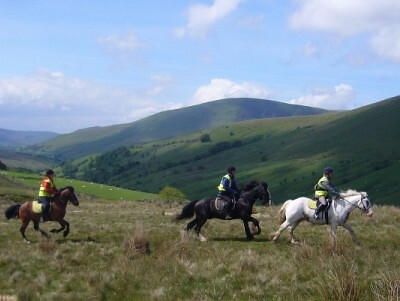 Our aim has always been to offer a quality riding experience with a high standard of individual attention, to encourage rider confidence and to ensure first-class horse care for our team of wonderful horses. Together with a long-standing team of staff and helpers we work hard to keep these aims at the fore front of everything we do. 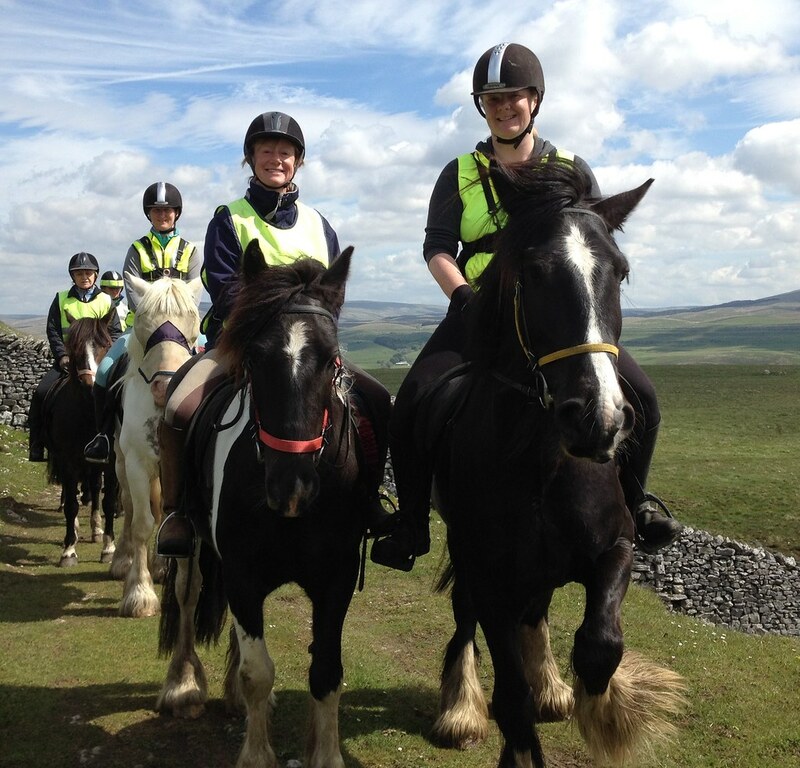 Stonetrail is a BHS approved centre and Alison is a qualified Ride Leader with many years of experience organising and leading trail riding holidays. 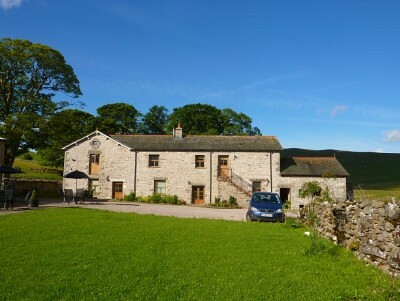 In 2012, Alison was honoured to be chosen to accompany Martin Clunes in his role as President of the British Horse Society to open The Pennine Bridleway, England’s latest national trail, a 130-mile-long distance bridleway purpose made for horse and riders. 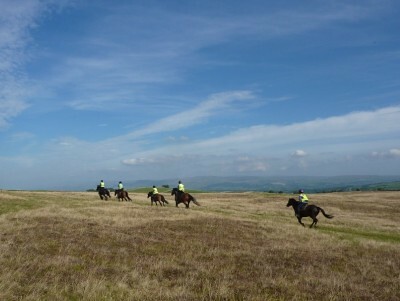 A 2 day confidence boosting riding holiday suited to adult riders seeking to improve their confidence and experience out on the trails with shorter canters and supportive instruction. 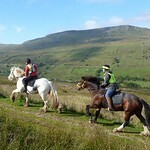 A 3-day riding holidays with 3 different circular trails each day which include the Howgill Fells, the Mallerstang Valley and the Smardale Valley. 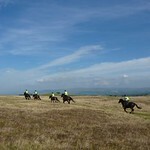 This holiday is suited to experienced riders who are confident at cantering in open spaces. 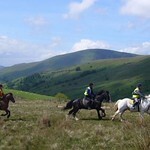 A 3 day trail ride with exhilarating canters exploring the wonderful bridleways through the Orton Fells and Crosby Garrett common. 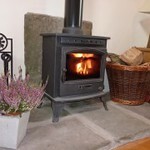 Create your own cottage and book as much riding as you wish. 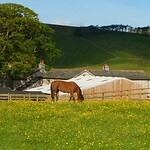 On Tuesday, Wednesday and Thursday you can choose to book a 2 hour, half day or full day picnic ride. 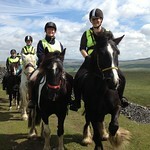 Ideal if you have a non-riding partner or prefer to ride half days. 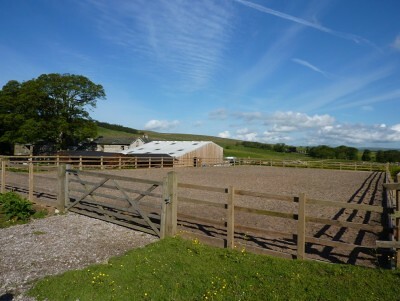 Bring your horse to Stonetrail and enjoy safe off-road hacking, purpose built livery facilities and a choice of 5 luxury self-catering cottages which overlook the stables and paddocks. All holidays include easy to follow route maps of varying distances. Please visit our website to view details of our routes and facilities. As always, we are available to chat in person and answer any specific questions you may have about our holidays. To make a booking please email us with the name and date of the holiday you wish to book and, if you have not ridden with us before, your height, weight and some brief details about your riding experience. 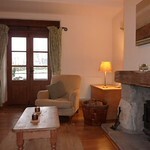 We will then email a booking form and reserve a place for you for up to 7 days. 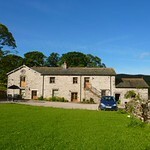 To secure a booking we ask for a non-refundable deposit of £100 per person. 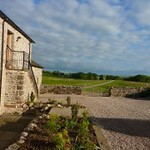 The final balance is due no later than six weeks before the start of your holiday.